Built with reliability in mind, the HL-L2375DW, is a printer of choice for busy home and small offices. This affordable, desktop friendly device, comes feature packed with the option of connecting over a home network or wirelessly via your mobile phone, with no need for a laptop. 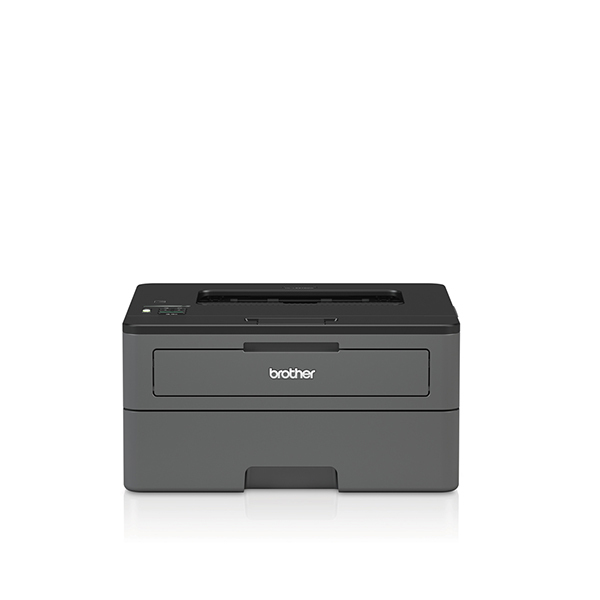 As one of our fastest, and most efficient mono laser printers, you can benefit from keeping costs low with the large inbox toner, together with the bigger than average paper input, so that you don’t need to regularly refill the paper tray. Designed to be set-up and ready to use in minutes, the network ready, HL-L2375DW comes with a host of time-saving features, including fast print speeds of up to 34 pages per minute, 250 sheet paper input and automatic 2-sided printing, ensuring that you are never waiting long for that important document. Designed to be set-up and ready to use in minutes. The HL-L2375DW, has a fast print speed of 34 pages per minute, together with automatic 2-sided print and large 250 paper tray. Combined with wired and wireless connectivity, you can have more time to focus on what you need to. Τιμή χωρίς φ.π.α. 120,16 € + 24% φ.π.α. 33,99 € + 24% φ.π.α. 59,38 € + 24% φ.π.α. 58,72 € + 24% φ.π.α. 104,96 € + 24% φ.π.α. 95,15 € + 24% φ.π.α. 110,78 € + 24% φ.π.α.